Taking Precautions | Get Glenn Mobile! Multiple sclerosis stole my life. Please help me reclaim it. When I began this blog last August, I was worn out from months of searching for charitable organizations that might be willing or able to help me retrieve my liberty. There were none, and like most government programs even the private organizations often seemed set up to discourage people from asking for help. The government had made it clear that they now considered me a ‘useless eater’ since I was no longer capable of productive work on an hourly schedule. This last is unfortunate but accurate. Apart from my lack of mobility, I’m subject to some truly nasty fatigue…I’ve described it as the energy level of an old cracked and corroded Delco battery…in winter…at midnight. This is not an exaggeration, and you can understand it a bit better if you read or watch Christine Miserandino’s ‘Spoon Theory’ that I wrote about some months back. Perversely, at the same time I experience random bouts of insomnia that mean no matter how tired I might be, I can’t sleep. This makes my sleep schedule entirely random, so even if I were able to get around I’d be an unreliable employee, which would be horribly unfair to any prospective employer. Over the last several months I’ve talked about how great it is to feel at least a little useful again, and for the first time I’ve begun considering the possibility of generating my own income again, but based on the value of my output, not centered on an hourly paradigm, but on how well my work in sum is received by readers. That’s nice to think about, but the fact is it’ll take time for me to find a niche and earn an income that way, assuming those reading my work find it has inherent value at all. I spent my entire professional life driving airplanes around, not being some sort of business or entrepreneurial whiz. It occurred to me that this fundraiser’s goal is well above a year’s disability income for me…and if the government got the idea that I’d discovered a new income source, rather than the one-time affair the Get Glenn Mobile! project is, that might jeopardize my disability income. If that were cut off today, I’d have no way to pay my mortgage, and my mom and I would be out in the street pretty fast. The upshot is that I’ve sent a couple of notes to accountant friends of the family to see about setting up the structure of donations to assure there won’t be any problems. When I began I was desperate, frustrated and in no shape to tackle that kind of legal/paperwork chore. I’m still not, but I don’t think it’ll break my bank to pay for an accountant to restructure this to reflect the truth: that this is simply a one-time fundraiser to get my life back. It saddens me that I even have to consider that my own government might want to punish me for wanting to escape the box they abandoned me to, but in its current iteration I have to assume the worst. A government like the one we live under kills and maims thousands of people overseas just to make their crony capitalist pals a few bucks, so I have no reason to expect anything less than the same merciless cruelty if I were to run afoul of them. Taking what proactive steps I can now will save a lot of grief in the long run, I bet! I'm a 20 year civil courier pilot, retired by multiple sclerosis. From summer of 2011 until December 2013 my efforts went mostly to my first blog, Get Glenn Mobile, to raise the funds needed to convert my Honda Element for wheelchair access and end my virtual housebound confinement. This was realized just after Christmas 2013 when I was able to acquire a superb X-WAV Element, already modified for my use. Though the original goal wasn't met, what was raised, plus my Honda, plus the proceeds of the sale from my mother's car were enough to make it happen. It's an amazing story in itself! Now, after my release from homebound prison, I can augment the journalistic work I'm doing for the American Daily Herald by getting out in public, talking with people, perhaps even getting some media attention to explain why someone as disabled as I am knows these unfunded entitlement programs like Social Security and its 'disability insurance' are bogus and do more harm than good, and in fact why the whole welfare/warfare state is contrived to keep the gravy train rolling for those who benefit while they drain our resources and eat out our substance. Why 'public education' is really public INDOCTRINATION that's become a meat grinder destroying our youth and our future. Why the fiat currency foisted on us by the Federal Reserve for a hundred years has destroyed the dollar and will without doubt cause its collapse. On and on the list goes, and I want to talk with the world about these vital matters. Please visit my new blog, 'Liberty On Wheels' at http://libertyonwheels.com/ if you're interested in learning more! Posted on May 30, 2012, in General Stuff and tagged donate, fatigue, multiple sclerosis, spoon theory. Bookmark the permalink. Leave a comment. incompetech.com The best and most user friendly site for royalty free music and sounds for use in media projects. All Kevin asks is for attribution in new works using his material. Licensed under Creative Commons and thoroughly awesome! Adam Vs. The Man Do you believe in peaceful, individual, voluntary action in your life? You just might be an anarcho capitalist! So’s Adam, and he promotes it with style. Don't Tread On Me Chris Duane’s great site dedicated to those who’ve taken the Red Pill, recently or long ago! WKOAlive A great station, broadcasting out of Tampa to keep you informed! Freedomain Radio As host Stefan Molyneaux describes it, “the largest and most popular philosophy show in the world.” For me it’s an island of rationality in a world gone mad…recommended! Cutting the Gordian Knot A promising new blog authored by my friend Kristie…unabashedly freedom oriented and well written, please check her work out! Truth Finders Network Great chat, guests and hosts for all things genuinely patriotic! Eric Peters Autos An awesome automotive site, without the usual corporate shill fluff. Eric tells it like it is! Lew Rockwell dot com A multifaceted site covering everything from politics and economics to food, fun and diversions. It’s my main daily trusted source for news. 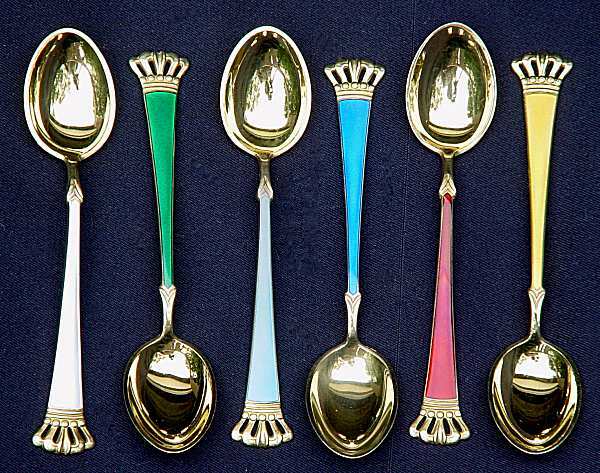 The Spoon Theory An excellent explanation that helps healthy people understand the debilitating effects of invisible symptoms like severe fatigue, low energy, and/or chronic pain. Brilliantly written, highly recommended. WeROAR, World Event – Reservation of all Rights Awesome current events site with podcasts, discussion and video. April Reigne runs a sharp site here! Tatiana Moroz Official Site The official site of my new friend and ally in the liberty community. Tatiana’s a wonderfully talented artist and a force to be reckoned with in the liberty movement…a genuine MUST SEE! Wheelchair Kamikaze A different perspective on dealing with MS by Marc in New York. I like his writing style better than most I’ve seen…visit his blog! Radio IO Radio IO, home of the Bubba Army Radio Network and my friend Scott Ledger with his Dangerous Conversation…Tune in! Asian Food Grocer A marvelous site that stocks a universe of things Asian food related. I’m partial to their Japanese snack foods, myself, they’re sublime! New Wings web site A good bunch of solid folks here. Their emphasis is on training and learning, not brainless noob shoots. One of the best resources for a new pilot! Just Play The Game My old chum Fuby’s site…more fun stuff than you can shake a stick at! Rise Of Flight official site More than just the premiere WW I air combat simulation, I consider Rise of Flight the most realistic flight sim ever. Check it out, the basic sim is free! You can fly two planes to begin with, or act as gunner in any 2-seat scout or large bomber online.